Hot this week: Extra long news list, your compiler was on holiday. A group of experts including Syria’s Prof Mammoun Abdulkarim discuss the more complicated aspects of the protection of heritage. The host talks antiquities with Amr Al-Azm, Tess Davis, Sarah Parcak, and Gary Vikan. A short discussion of the ongoing issue. This article goes into the tricky idea of “military necessity” when it comes to cultural destruction in times of conflict. Ahmad al-Faqi al-Mahdi has pleaded guilty and apologised. It is doubtful that this will serve as a deterrent or send any sort of message. The temple has security grills and it is unknown how the thieves were able to enter. There have been other recent sacred art thefts in the region of this shrine. Very little about what exactly was stolen. Canada’s heritage minister has notified the director of the National Museums Scotland that a formal demand for the remains will be made. A look at this threat to Colombian heritage. The 10 candelabras are were returned to San Buenaventura de Yaguarón. The sacred art, including metal objects and two oil paintings, were taken from the church in the Huyanacotas district. It’s worth noting that Peru and Guatemala signed a bilateral cultural property return and recovery agreement in 2004. The stolen items include various items used for communion. This is the third robbery this month at the temple. “I was an idiot. I blacked out. When you wake up from a hangover and you realize what you did, you’re like, ‘Oh, no,’ ”, said the art dealer. The piece taken is said to be a piece of the true cross. The ex guard says that security footage will show that he didn’t make green marks on an Egyptian statue. There have been several arrests in Jefferson County of illegal artefact looters at various sites. The ancient pieces were taken while the dealership was under construction. The concerns primarily regard what the board members see as questionable deals with Cuba, some of which are likely impossible. The split is between Bonnie Deutsch and her ex-partner artist Joseph Kennebrew who accuses her of not returning art. The shields, known as Tináa were stolen off the school wall. This is only one of four current copyright infringement suits that Prince is facing. “Are collectors “stupid” to spend millions of dollars on a work of art without personally investigating its authenticity?” A soft yes. There may have been some time that passed since the pieces were taken. The shield was nearly auctioned at a much protested sale in France. The British tourist claims they were sold an inauthentic Chiparus, portrayed as real because the gallery owner was retiring. The man had been arrested for a separate incident and has been charged with stealing over 60 ivory figurines. The dealer is accused of using the ‘renown’ of a Pawn Stars celeb to bolster the authenticity of fake items. Law enforcement seems to think that a single perpetrator is behind several recent sports memorabilia thefts. Coverage of a showing of Karen Audette’s documentary “The Nike Chariot Earring”. The 80-year-old Gardner Museum heist suspect is said to be in deteriorating mental and physical health. Very little info about the seizure but the items are all metal. Surprise inspections in wake of allegations that antiquities are not being properly stored or tracked. The “Monument to Saint Francis, decorated with frescoes by Cimabue and Giotto” has been spared in the deadly quake and officers will secure the site to prevent theft. A spectacular interactive feature on the looting of mammoth ivory from Siberia’s forests. Four men were arrested for forcing an the owner of the painting sign over the painting to them. A villager noticed the glass broken in a small window in the chapel. 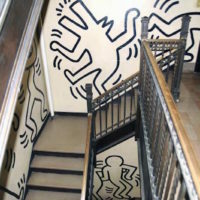 The exhibition was the target of art thieves last year. It is still unclear what exactly has happened to the protected mural. David Mason relates how his safe was cracked and letters by Hemingway were taken, seemingly targeted, in 1993. Penelope Jackson looks at art crime in Aotearoa. “Heritage experts should help law enforcement agencies in the country understand the heritage value of antiques” says S. Vijay Kumar. Although there are rumours that the temple will be hit with theft, authorities say it is secure. An alarm activated at Sri Meenakshi Sundareswarar Temple, scaring away the thieves who are assumed to have been after the 14 idols housed within. Also stolen were three idols of Krishna and Radha from the temple in Agra Village, the second theft at the same temple in 20 days. Silver armour and other silver items related to the deity were stolen from Manai math Mukhyaprana temple. CCTV captured two men stealing the idol and other valuables but their faces were covered. The theft occurred in the Aerodrome area of Indore and around 6kg of silver was taken. The 6.8 magnitude quake has caused damage and collapse at a number of temples in and around Bagan. Worries that sacred art will be further damaged or go missing in debris clean up. At least 397 temples will need repair, but priorities need to be take into account and the process should be done under accepted heritage standards. Information about the process that will be used to repair Myanmar’s quake-damaged temples. The pieces were stolen recently from a temple in Naudobahal, Lalitpur, and the SSP mentions organized crime. The Dept of Archaeology halted the reconstruction due to concerns that archaeological and preservation norms were being violated. Photos exist of the lintel in the Nong Hong temple before it was stolen. It is now in San Francisco. A basic call for collectors to buy paintings from trusted sources. The looting probably took place in ancient times. Four were arrested, however the item imaged appears to be a poor fake. This also includes objects seized in Lebanon. A much more realistic picture of Syrian looting and ‘looting’. Police recovered the manuscript in the city of Aksaray. Not even the UNESCO world heritage site of of Old Sanaa is safe from destruction, yet this is a loss the world community isn’t discussing. The young artist’s work featuring the Tragically Hip frontman has been stolen my people seeking to profit from their popularity. Lu Pingyuan traveled to Bolton specifically to bottle the ghost for display. The 5 foot tall, 150 pound, mosaic lobster is gone from Plymouth.